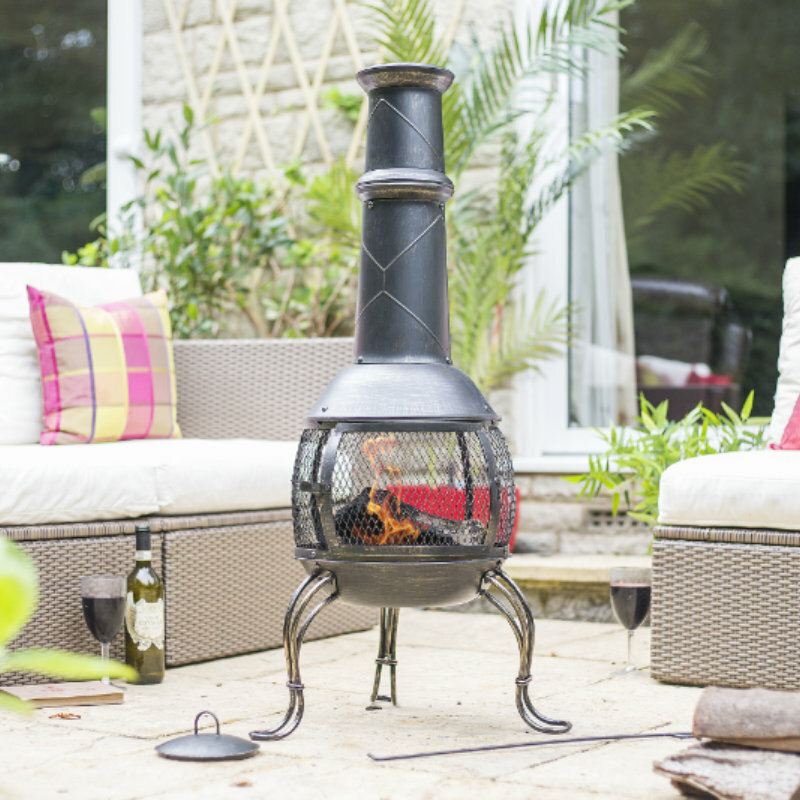 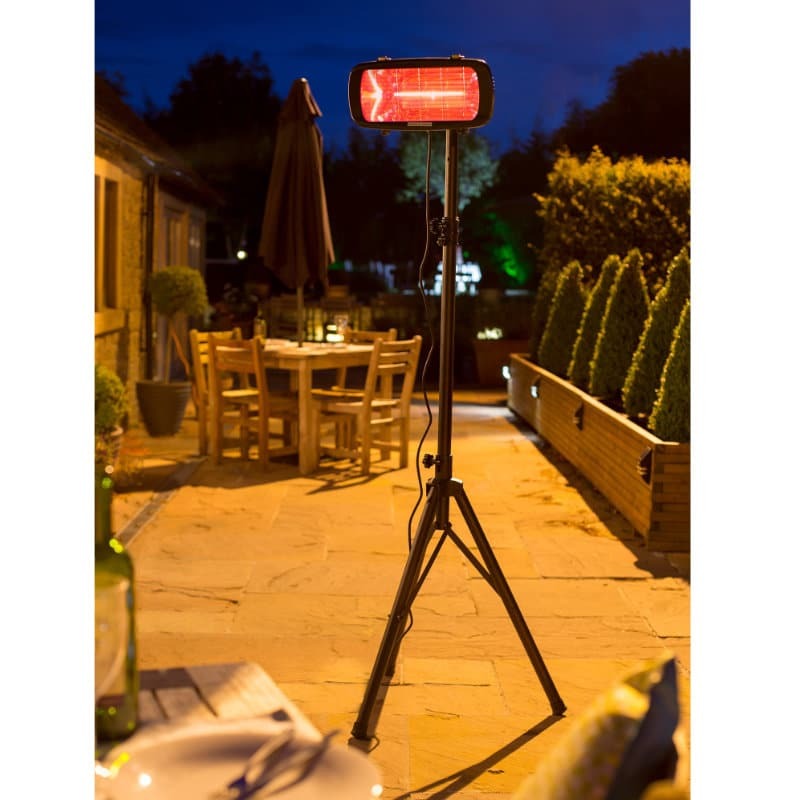 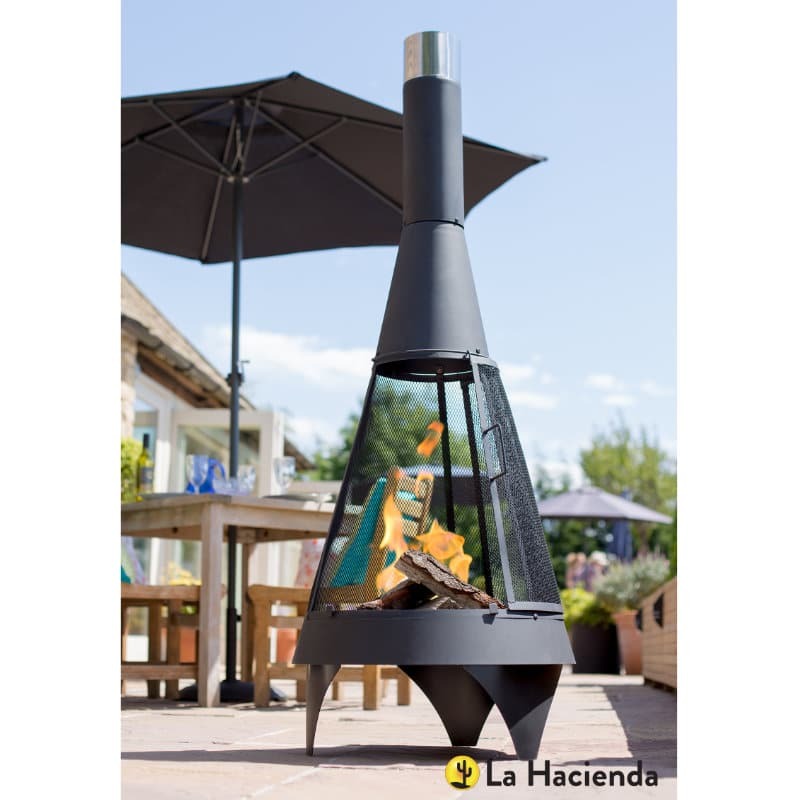 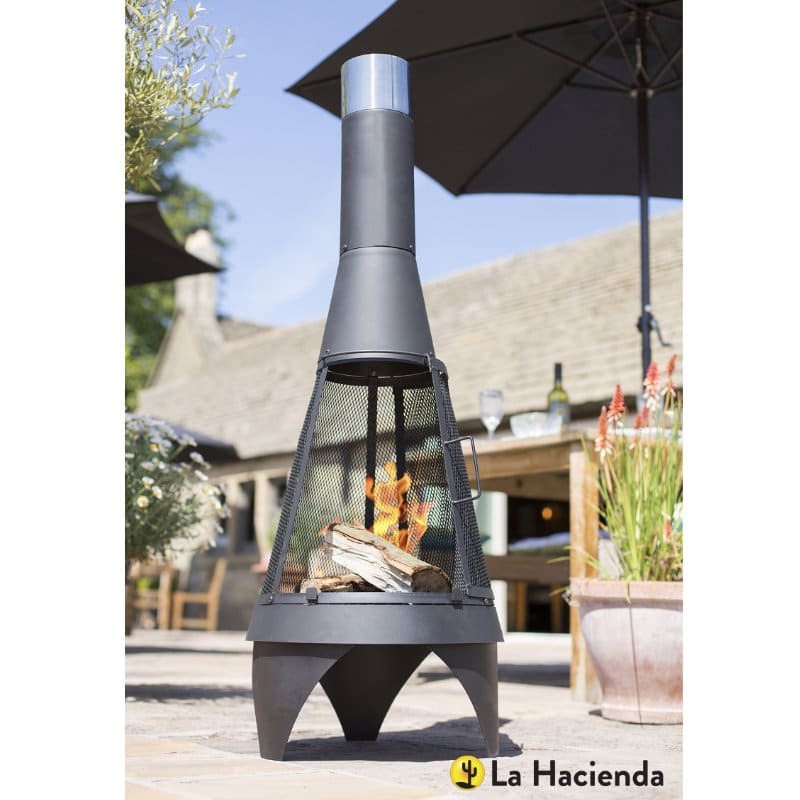 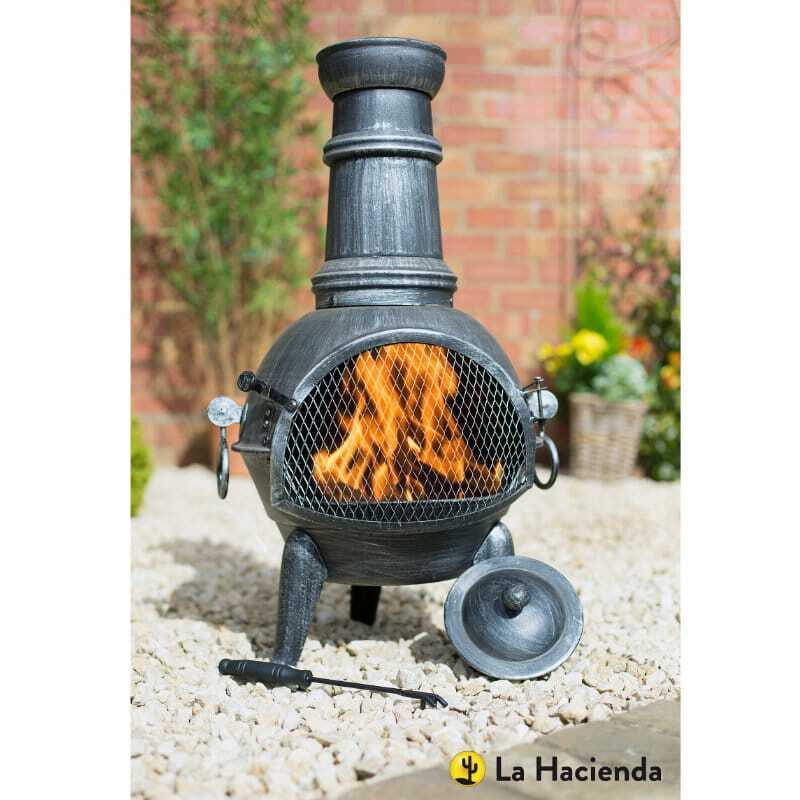 Unique to the contemporary range with its 360 degree view of the fire, the Colorado Mesh Chimenea from La Hacienda is ideal for a group to sit around and relax in the heat of the flames. 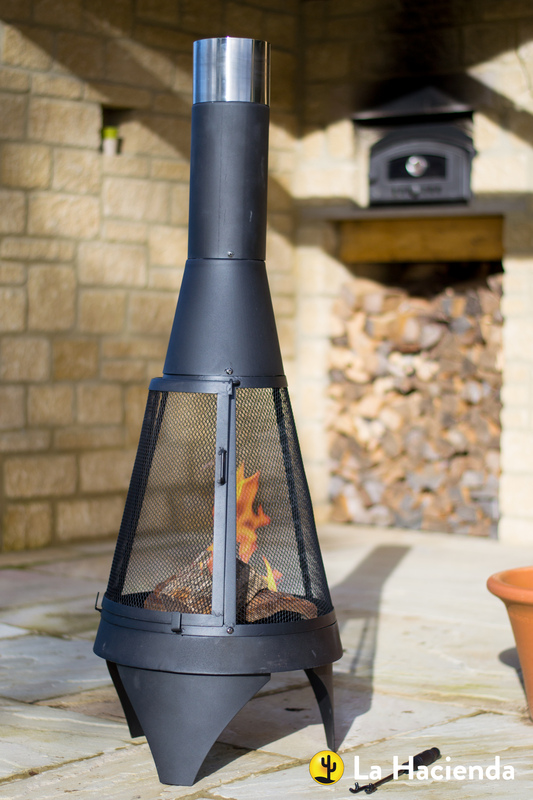 The sliding door allows easy refuelling to keep the fire stoked and burning. 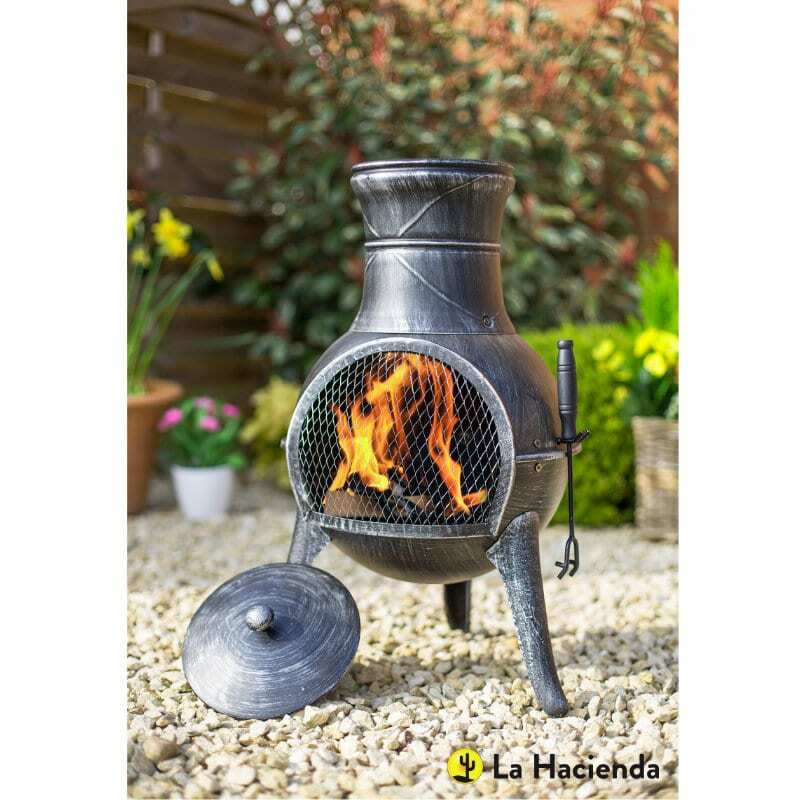 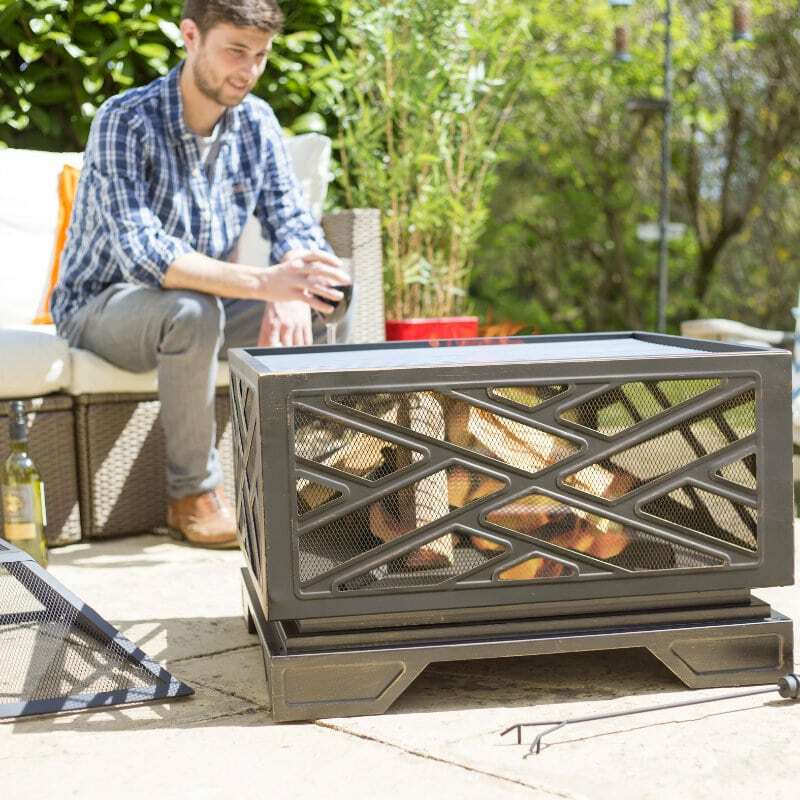 Constructed using heavy gauge steel, and with a black high temperature paint finish, it comes complete with log grate and safety tool.